Smoking before and after rhinoplasty may have different adverse health effects. In patients who smoke, wound healing may be adversely affected, and the introduction of hot cigarette smoke into the nose may cause an increased risk of infection and tissue edema. In addition, carbon monoxide and similar products in cigarette smoke can adversely affect nicotine, tissue blood supply and healing process. Particulate and burnt substances in cigarette smoke cause infection in the mucosal incision areas and increased scaling in the nose. There are discussions about the subject in foreign sources. It is ideal not to smoke for at least 4 weeks especially after nose surgery. I advise my patients to terminate smoking for at least 1 week before surgery. How long before the operation of the rhinoplasty should stop smoking? 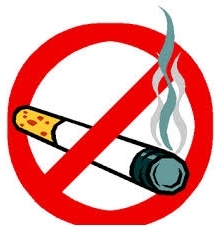 Smoking should be terminated at least 2 days prior to general anesthesia. If the cigarette is terminated 1 week before the rhinoplasty operation, it would be much better. Can I smoke after a rhinoplasty? How soon after rhinoplasty can you smoke? Smoking before and after rhinoplasty What effect does smoking have on rhinoplasty?